The 2015 PHS Philadelphia Flower Show ran from Saturday, February 28 until March 8, 2015 at the Pennsylvania Convention Center. The theme was "Celebrate the Movies." 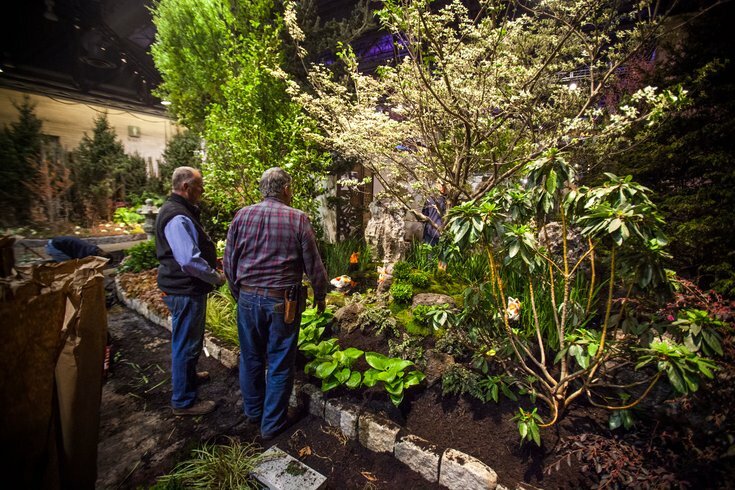 The Pennsylvania Horticulture Society's Philadelphia Flower show returns on March 5. For 2016, the show will celebrate the centennial of the National Park Service with the theme "Explore America." Visitors can walk through various displays inspired by iconic parks like Acadia, Yellowstone and Yosemite. Guest rangers will also be on site to talk about the National Park Service. They'll also communicate via webcasts. While the show will take place at the Pennsylvania Convention Center, the displays will transport guests to the great outdoors with activities like mountain climbing and camping. During the Philadelphia Flower Show, there will be an interactive butterfly garden, a pop-up beer garden and a new train garden with tracks looping through a miniature American landscape. PHS Philadelphia Flower Show 2016: "Explore America"